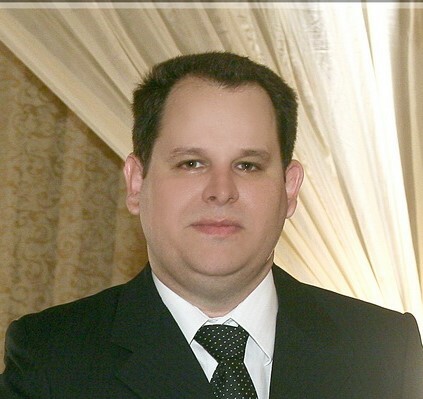 This month we have the pleasure of interviewing Victor Hugo Molinas, the only practicing actuary in Paraguay. Victor holds a Bachelor's degree in Actuarial Science from the University of Buenos Aires, and is currently the Chief Actuary at the Instituto de Previsión Social, a governmental organization overseeing social security and health care. His sister is studying to become an actuary as well, and hopefully, she will soon double the number of actuaries in Paraguay! Victor Hugo Molinas (VHM): Just one - me. There are some local people who do work that is related to actuarial science, but have not studied this formally. Some businesses bring in consultants from outside the country. VHM: I can't answer exactly, but some of the pension funds have actuarial reports from the 1950s. These works were usually carried out by multilateral organizations. VHM: The work we carry out has a real impact on people, whether it be new product development or the technical support for a new law. AL: How did you decide to study actuarial science? VHM: I realized that there was a big need here for expertise in mathematics and econometrics. My father was involved with the national insurance commission, and in my research, I found out about actuarial science and the fact that there weren't any actuaries here. This led me to decide to go "next door" to Argentina to study. VHM: In my company, we begin a "young professionals" program, and heavily recruited employees with a technical background to work in my department in order to support our actuarial work. This was of great help in improving our organization's reports. On a lighter note, once a company asked me to analyze the pricing of a group life policy within 24 hours. I asked for the data regarding the lives involved, and they brought me a pile of folders full of papers, and said that all the information was in there. I had to explain to them that I couldn't work with data in that way, and definitely not in 24 hours! VHM: Many international companies with a branch in Paraguay are going to seek to implement Solvency II, and this will require a great deal of work to implement. VHM: There needs to be a regulation requiring the presence of someone with actuarial knowledge within insurance companies, for reserves and pricing. There should be the requirement of a certain level of statistical analysis. VHM: Pension funds with defined benefits schemes and life insurance companies. VHM: An actuary should be able not only to determine ratemaking, actuarial liability or make reports for financial statements, but also develop new products and find solutions for current issues. VHM: Schools do not have actuarial majors or minors, it is a topic in Statistics in the School of Economics. I studied Actuarial Science in Argentina. VHM: There is not credentialing procedure for an Actuary in the country. VHM: The reputation of the actuaries is that we are professionals that focus on the mathematical aspects of the problem and not on how our work actually affects individuals. VHM: If anyone is interested in learning more about the Paraguayan market, feel free to contact me at victor.molinas@mgc.com.py.